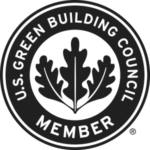 Satisfying federal, state and local government building standards and regulations call for more than a contractor’s license. Our straightforward communication and relationship-building attitude smooths ruffled feathers and energizes the team with a clarity of purpose. So, when ADA retrofits, fire and life safety systems, elevators, and HVAC systems are part of your renovations, we are ready to respond with confidence. Our experience will assist you in complying with the most stringent codes and the toughest of building inspectors.